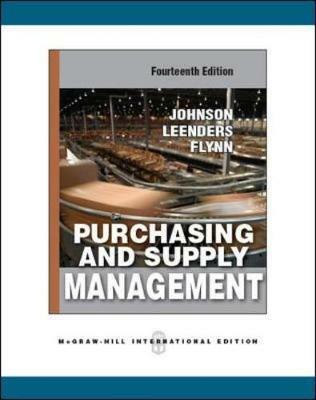 The Fourteenth Edition of "Purchasing and Supply Management" provides a comprehensive introduction to the purchasing and supply chain management field, supported by over 40 case studies. Cases cover purchasing and supply chain issues in a variety of settings, from process industries to high tech manufacturing and services as well as public institutions. The text focuses on decision making throughout the supply chain. Based on the conviction that supply managers, in concert with suppliers and distributors, have to contribute to organizational goals and strategies, this edition continues to focus on how to make that mission a reality.